How Businesses Can Get Benefit From Refurbished Ricoh Copiers? If you are starting a new business or upgrading your office equipment, you may be in need of a photocopy machine. The cost of brand new copier is generally very inflated while used copy machines has approximately half price of the original price. Refurbished Ricoh copiers can work as good as new and no one can tell the difference between a new and used copier. In order to find the best copier, you should know the main features you want that may include paper capacity, copies per minute, color copiers etc. Reputable companies sell machine in good working condition and with any worn parts replaced. Most machines have an internal copy counter that keeps track of the number of copies it has made in its lifetime. Most used copiers actually come from top of the brands such as Ricoh and Canon copiers. Refurbished Ricoh copiers are famous in quality and you can save a lot of money by purchasing refurbished Ricoh copiers from a reputable store. You can also find refurbished colored copiers, desktop copiers, and enterprise copiers that can make 100 copies per minute. Purchasing a certified used copier is a smart business decision. It will increase productivity and would not come with the elevated costs of a brand new photocopy machine. The advantage of purchasing a refurbished Ricoh copier is the reduction of the wasteful dumping of perfectly serviceable machine. Refurbished Ricoh copiers are environmental friendly as they eliminate the need to purchase the raw materials needed to make a new copier. Therefore, it reduces the amount of carbon produced through manufacturing and shipping a new photocopier machine. Therefore, purchasing refurbished Ricoh copiers is a wise decision. 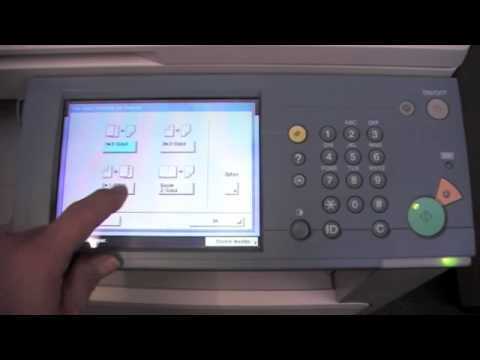 All printers and copiers have their own unique features that make the printing process easier. Ricoh is one of the best brands when it comes to printers and copiers. 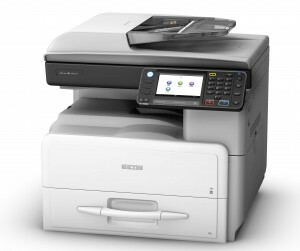 Refurbished Ricoh copiers can produce 135 sheets of paper per minute. It offers maximum productivity in the work area. Its scanning quality is 200 dpi. Ricoh copiers are reusable and its quality does not get tainted over time. Get the most practical machine that allows employees to be as productive as possible. Small and large businesses are getting great benefit of saving money by getting Refurbished Ricoh copiers from reputable sellers. There are many stores that offers used photocopiers all over the world. It is important to choose a reliable source. You can get recommendation from people or companies that are using used photocopiers to get the most suitable photocopier for your business. We have a great collection of Ricoh copiers, canon copiers and photocopiers of other brands in which customers can choose their desired photocopier. All our copiers are in good working condition. You can check their features and functionality before purchasing them. Check out our huge inventory of Ricoh copiers, canon copiers, refurbished copiers, black and white as well as colored copiers and choose the most suitable photocopier for your business today. Photocopiers are essential for every small or large business to complete everyday functions of an office. The range of options is vast when it comes to choosing a photocopier for your office. Assessing your needs is the key in order to choose the right photocopier for your small or large business. The volume and type of copies you need will ultimately determine the type of machine best suited to your office. Which copy size you want to make? Do you need additional functions such as image editing or double sided printing? Do you need photocopiers that can also have function of scanning or doing fax? Photocopiers are able to perform various functions that include making copies of documents, resizing the layout of the document, enlarging or reducing a picture, and more. They also have the option to alter the style of the copy you are making. A lot of photocopiers also have scanning and faxing documents. Therefore, photocopiers are extremely useful. There is large number of actual photocopiers in the market that have different speeds, functions and prices. A photocopier that copies, scans and faxes saves a lot of money. New photocopiers are quite expensive and many SMEs cannot afford them. Therefore, most of the companies prefer used photocopiers because they can efficiently work without any compromise on quality. Their defective parts can be replaced with the new one. Companies are getting great benefits by purchasing used photocopiers for their business use. The analog photocopiers are the oldest photocopying machines and have been widely used till the advent of modern digital copiers. They are cheaper than all other photocopiers and are ideal to fulfill small photocopying needs as well as scanning the documents. One disadvantage of these photocopiers is that they photocopiers cannot make high quality images. Digital photocopiers are popular and commonly used in companies because it can reproduce high quality sharp pages and pictures. The digital copiers are easy to use, cost effective, require less maintenance and care, and can be used as multifunction copiers. A multifunction photocopying machine can do many functions at a time, including scanning, making copies, computer printing, and faxing. These photocopiers save a lot of space in your office because it does the job of four photocopying machines. These multifunction copiers are cost effective and if maintained properly can last for years. If you are looking for used photocopiers for your organization, choose a reputable source. We offer a wide range of used photocopiers in Malaysia. If you want to get quality and durable used photocopier, contact us today. Despite the electronic age, many companies need paper work for printing emails, contracts, letters, legal documents, and the like that are photocopied and after the obligatory signature, filed and stored for future reference. Paper record helps businesses, just in case the system crashes irrecoverably. Setting up a fully equipped office is costly. 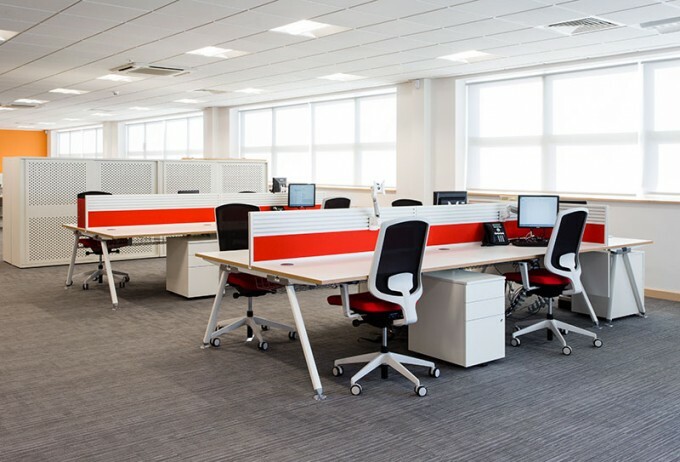 Office furniture, computers, accessories and a lot of other facilities are required to maintain office that put big burden on small and medium businesses. Photocopiers are essential to make copies of required documents. Brand new photocopiers are generally expensive but you have the option of purchasing second hand copiers. Black and white second hand copiers are affordable and have less risk of break down as compared to colored copiers. Many people are buying used photocopiers from reputable sellers. Used photocopiers offer a high quality copies just like brand new. Refurbished copiers are available in good condition and their maintenance services are also available in the market. However, the need is to choose a reputable and reliable company to get used copiers. With the rising costs of office equipment, many businesses are turning to second hand copiers to save on their operating budgets. Now, the important part is to choose the equipment that can fulfill your business needs. The choice of the type of copiers depends on your budget. In order to get quality image, get the latest Multifunction copiers. With so many options available in the market, businesses can choose them according to their business needs keeping in mind the cost and usability. If you have a good set up and require more paper work, then second hand copiers are most economical and suitable option for your office. Black and white second hand copiers need less ink to replace and black ink is cheaper than ink used in colored copiers. Cleaning and maintaining your copier regularly is important in order to keep it in good working condition. Neglecting its maintenance can lead to frequent break downs that will become a major inconvenience. It will also affect reputation of the company. Therefore, there should be regular maintenance checks to keep it running smoothly. This is an important feature to consider for purchasing second hand copiers. Refurbished copiers are usable and versatile because they are properly checked and maintained for efficient office use. If any part of copiers is not functioning well, it can be replaced easily. Choose an experienced used copier dealer to purchase photocopiers for your business. Evaluate your needs and then choose the best photocopiers. Seek references from business associates and choose the best company to buy used photocopiers at good rate and cut down your expense. Check customer reviews to know the best sellers. 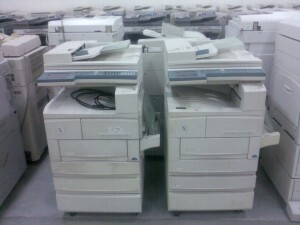 We offer second hand copiers in Malaysia. A wide variety of copiers are available to us that are well maintained. If you want used copiers at affordable price and in good working condition, contact us today. Cooking is an art that require right tools to make desired food. 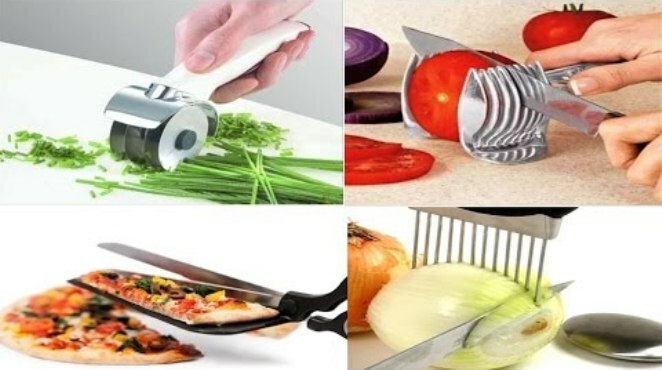 Use of advance kitchen tools makes cooking simple and easier. Technology is constantly improving that adds innovative appliances for commercial kitchen businesses. Modern kitchen tools are very efficient and do not require technical knowledge. Ovens, dishwashers and refrigerators are some specially designed kitchen tools and equipment with user friendly features. Blender and coffee maker are few examples of kitchen appliances. Use of proper Kitchen equipments plays a significant role in the preparation of food that also makes cooking an enjoyable and interesting experience. Garlic press, knife sharpeners, spoons, salad mixer etc are some common examples of kitchen gadgets that are regularly used in kitchen. Modern tools have made cooking a lot easier and enjoyable. Kitchen is a basic need for homes as well as hotels and restaurants that is incomplete without proper tools and equipments. With the help of kitchen tools and equipment, food is prepared efficiently in short span of time. Refrigerator, Toast maker, Dishwasher, microwave oven, sandwich maker, juice extractor, mixer and many other kitchen tools and equipment are used in cooking, baking, grilling and cleaning dishes. These household appliances are very helpful. Advanced kitchen tools increase efficiency of the kitchen. Kitchen appliances that are required for commercial kitchen include Blender, coffee maker, Garlic press, food thermometers, knife sharpeners, slotted spoon, salad spinner etc. A wide variety of kitchen tools and equipment are available in the market in different brands. Modern day kitchen tools are available in both new and used forms. These tools are very efficient, simple in use that does not require any technical knowledge. Moreover, these products are designed to save huge amount of monthly electricity bills. Baking Pans come in a wide variety of styles and materials. Dark metal pans absorb heat and helps cookies and brownies to brown more quickly while Shiny metal pans are perfect for delicate baked products. Wooden spoons are great kitchen tools for proper stirring. Spatulas are available for removing cookies from the pan or scraping cookie dough or brownie batter from bowls. Ice cream scoops are inexpensive cookie making tools that make ice cream scoops easily and quickly. Silicone baking pan liners are available in a wide variety of sizes. Parchment Paper is an indispensable aid for quick and easy baking. Electric Mixers are used for making brownies and cookies. Food processor speeds up the process and performs kitchen tasks such as chopping, grating, shredding, and pureeing. Food processor is a useful accessory to make pie crusts, cheesecakes, biscuits, and dough quickly. Increasing demand of canned foods requires can openers to make life easier for preparing foods. A bread maker is an appliance to make bread easily. Now, compact size bread makers are available. There are many more kitchen tools and equipment that one can have at home or for commercial kitchens. A knife is an important appliance of your kitchen that prepares the food before the ingredients comes in final form. Knife in bad condition can adversely affect taste and presentation of food. Used kitchen tools sources in Malaysia or elsewhere provides good quality knives as well as knife sharpening tools. Stove is another important tool for a restaurant. It is important that stoves are in good condition. Kitchen devices for cooking, baking, grilling and cleaning dishes include Refrigerators, Toast maker, oven, sandwich maker etc. In this advanced technology, life has become a challenge in every field. Proper tools and equipment are required for a complete kitchen. These appliances minimize the time utilized in making food. Kitchen tools and appliances are available in a wide variety that increases efficiency of kitchen and helps in completing work in short time. Proper kitchen tools and equipment are required to start a hotel or restaurant business. People prefer to purchase used kitchen equipment in Malaysia or elsewhere. For opening a restaurant, a lot of kitchen equipments are required that include dishwashers, sinks, refrigerators, food containers, wire shelving mixers, and a lot more. Before you choose kitchen equipments for commercial use, consider the kind of dishes you will serve to your customers and commercial equipments that will be required for it. Kitchen equipment should be stainless steel to prevent rusting. Moreover, they are hygienic and easy to clean and maintain, therefore, prevent any bacterial infection. When a new business starts up, most of the business owners face tight budget. Therefore, most of them buy used kitchen equipment in Malaysia or elsewhere for a successful business. There are many sources that buy and sell used kitchen equipment. These sources provide good quality durable and reliable products. Option of online buying and selling used product is also available for used kitchen equipment in Malaysia or elsewhere. Starting a restaurant business requires proper furniture and kitchen equipments for running this business successfully. Choose a reputable source to get quality products. Get recommendations from friends or relatives who have purchased used kitchen equipment and have positive remarks about that source. Checking customer reviews from their website is another way to evaluate source that buy and sell used products. We are a famous source of used kitchen equipment in Malaysia. We have a large inventory of used kitchen equipments, office furniture and a lot more. If you are looking for a reliable source to get quality used products for commercial kitchen business, used office furniture or electrical equipments, contact us today. How Buy And Sell Second Hand Goods Is Beneficial? Buying and selling second hand goods is a great solution for business persons and home owners to cut their budget without compromising on quality. A buy-and-sell enterprise is really beneficial in fulfilling business need as it is a cheap, quick and easy solution that generates high profit. Most of the enterprises require only minimal amount of investment to start a new business with option of purchasing second hand goods. The financial risk involved in this is also minimal. If you decide to quit, you can sell off stock easily on a second hand shop in Malaysia or elsewhere. Choosing second hand furniture opens endless choices in designs to find something that will work for you. Many people sell their furniture because they want to change their office or home look, those office items are mostly in good condition and purchasing them is a better option. Choosing second hand goods does not mean that you will compromise on quality. 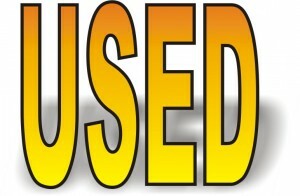 You can discover incredible items at low cost if you buy used products from a reliable source. When you buy used goods, you expect them to be in substandard condition as compared to the brand new products. The best way to get the quality product is to purchase products from a trusted dealer that has a transparent policy in dealing with products. There are many dealers of used products but finding a reliable source is a bit tricky. If you choose a reliable source to buy second hand goods, you get goods in low cost and in good condition. Make sure second hand furniture is not damaged by insect infestation. There should not be any stains or marks over them. Repairing reduce value of the item. Make sure the items are not repaired. Make sure there are no missing pieces. If you purchase electrical appliances, check them to ensure that electrical appliances are working properly. If you cannot check them, seek reassurance from the seller that you can return them if the products are found to be faulty. If you want to furnish your home, new office or a new restaurant, most of the people want to save money on investments especially on buying furniture because buying furniture is expensive for an enterprise or home. While you are buying second hand furniture, keep in mind that the quality and look of furniture are good enough to be used in home or office. Second hand shop in Malaysia or elsewhere does not only deal with furniture. They deal with a lot of things, including electrical equipments, kitchen equipments and office equipments etc. Electrical equipments are the main tools that are used today. These electronic gadgets are used in homes as well as in industries. Electrical equipments are tested and cleaned to make them ready for resale. They come up with necessary manuals and spare parts that are helpful in using them efficiently. Testing and diagnosing used electrical equipment to evaluate and assess general condition of the apparatus requires an experienced person that has sufficient knowledge. Testing the equipment ensures that it is capable of meeting the standards for its use. Professionals at Buy and sell second hand goods source test, run and check electrical equipments to find any malfunction piece for replacement or repair. As a result, final good provided to customers is without any discrepancy. Dealers of buy and sell second hand goods clean the machine thoroughly and provide necessary care such as replacing required parts or knobs or any necessary piece to make it in proper working condition. It will make second hand goods more saleable and appealing to the buyer. Purchase of used machines saves a lot of costs as electrical components are usually too expensive. Their damaged parts can be replaced or repair that work well for you. Reputable buy and sell businesses take into consideration their work efficiency as well as working condition of their equipments. They make sure that every single component is working properly. These shops of used items provide a wide range of choices among equipments that are durable and available at reasonable price. Electrical parts are available in surplus amounts with these sources that include capacitors, inductors, resistors, semiconductors, wires and transformers. These electric parts help in functioning electrical equipments and other systems well. At the time of selling, these products are also checked properly to guarantee that they are working well. Purchasing secondhand equipment that has tested for proper functioning works just as brand new equipments. Moreover, they have an affordable price. Such stores that offer surplus products make it easier for businesspersons to choose the right tools and equipments to bring efficiency in a business and saving money. If you are quitting your business and want to sell your goods, you can sell them at second hand shop in Malaysia or elsewhere to get instant cash for your clutter. There are many businesses that buy and sell second hand goods and believe in fair pricing to make a good deal for all. We are a famous source of buy and sell second hand goods in Malaysia. If you want to replace your office furniture or electrical equipments with cash, you can contact us. We purchase used products such as furniture, electrical equipments, office equipments and kitchen equipments to increase our inventory. We deal with thousands of customers that buy and sell second hand goods at our second hand shop in Malaysia. Our specialists check each item and purchase only reliable and quality equipments and furniture items that are in good condition. We have a fair dealing with all of our customers whether they are selling their products to us or purchasing from our collection of used products. After ensuring the durability and functioning of the product, we buy or sell products. If you are looking for reliable source for used products that are in good working condition, Contact us today. How to Boost Productivity with low-cost Office Improvements? Choosing the right furniture gives look and style to your premises. Furnishing is an art that adds efficiency and boost work performance of employees. In this era of ongoing Global economic crisis where it is difficult for companies to meet overhead expenditure, business persons are looking for alternatives for getting quality furniture and appliances to create a sophisticated environment both for customers and employees. Second hand office furniture is an economical alternative. It is not only affordable but is also of good quality. With a bit of modification, it can create best impression. Nowadays, most of the companies prefer to choose second hand furniture because it is available in good condition and at discounted prices. Used office furniture gives you the opportunity to decorate your office with stylish and comfortable furniture in low cost without compromising on quality. The typical office furniture includes office desks, chairs, cubicles, cabinets, computer chair, computer desk and a lot more. These types of office furniture are very costly when you buy brand new items. Therefore, purchasing 2nd hand office furniture is the best choice to save company’s budget and expense. People who start up a new business often look for used office furniture to cut-price but it is important to choose the best furniture to make office depict your business. How to Choose the Best Second Hand Furniture? Proper furniture contributes to productivity of employees, makes staff interested in work, and adds to the employee motivation. This is beneficial for overall business growth and profits. While purchasing the used furniture, make sure it is durable and strong. Never compromise on quality. If you are unable to find it with one dealer, search for others. 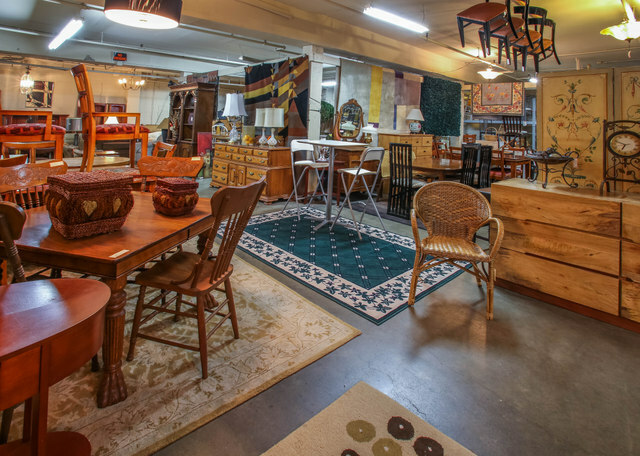 There are many in the market that offers high quality used furniture at discounted rates. Choose office furniture wisely based on needs and timings of employees. If the employees spend few hours, you can purchase basic chairs and desks for them. However, if the employees spend 6 to 8 hours, buy comfortable and well functioning chairs and desks. Also, choose proper reception chairs and desks to enhance beauty of your office. Furniture should be selected according to the space of the office. The office should not look congested with messy chairs, tables and extra cupboards. If the office is spacious, you can choose broad furniture but if your office is not that much spacious, then, you can choose furniture that occupies less space. Just buying furniture is not enough. Maintenance and setting them at the right place is equally important. Keep furniture at proper place and take care of cleaning it on daily basis. Every business has its own requirements regarding office decoration. If your business is related to art and design, you should decorate your office with exclusive art pieces or may be any art piece from your portfolio.. Similarly, you can place some artistic items in your office. Before purchasing 2nd hand office furniture, you should consider the theme of your dream office. In this way, you can buy right type of furniture to make your decorated office dream come true. Budget is an important part to consider while purchasing second hand office furniture for your office. Visit the market to choose the best supplier with competitive prices. You can also browse over the internet as there are many online portals that buy and sell used office furniture. Office environment and atmosphere play a great role in reinforcing specific feelings and behavior to boost productivity of the employees. Rooms should have high ceilings and walls with mirrors as well as enough space to move around. prevent people from feeling crowded or distracted. Researchers have shown that access to nature lowers stress and anger; improves mood and performance of people. Having a house plant inside office reduces fatigue and increases employees’ focus towards work. Temperature is one of the most important elements to consider for a healthy workspace. A study showed that people feel more fatigued at high temperature. Therefore; it should be maintained at optimal level to boost performance of employees in an office environment. Researchers have shown that wrong posture and long sittings in office can cause musculoskeletal disorders in the neck and upper extremities. Therefore, invest in high quality furniture that is adjustable, durable and comfortable. A comfortable office environment enhances the satisfaction level of employees and reduces employee turnover. There are many things that need to be considered while purchasing office equipments. When you consider these things while buying second hand office furniture, you can get quality used products at competitive prices. Where to find the Best Second Hand Office Furniture? Sales and auctions are also a great way to find good quality second hand furniture. There are many stores that buy and sell second hand office furniture. Many online portals are also available to purchase 2nd hand office furniture online. However, make sure the store that is selling products is reputable and offers quality office furniture and equipments. There are many providers of second hand office furniture in Malaysia and elsewhere. It is important to choose a reliable source to get remarkable second hand office furniture in Malaysia or in any other country. We are a famous source of second hand office furniture in Malaysia, providing a wide variety of used furniture and office equipments to our valuable customers. We have a wide variety of used items in Malaysia that are durable and stylish. If you want to choose reliable furniture from a wide variety, Contact us today.